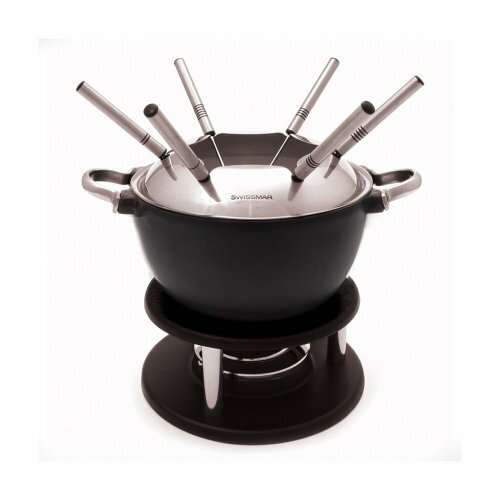 Stylish cast iron meat fondue set includes: black matte pot, stainless spatter guard, rechaud, six meat fondue forks and dual function burner. If you have any questions about this product by Swissmar, contact us by completing and submitting the form below. If you are looking for a specif part number, please include it with your message.